Founded in 1982, FORS | ATTORNEYS AT LAW is a Florida-based law firm dedicated to providing exceptional legal representation in connection with business, commercial, and real estate litigation. For over three decades, our firm has served diverse clientele throughout the U.S., Latin America, and Europe. FORS’ commercial and business litigation practice represents clients in various areas of law including litigation related to contract disputes, business torts, shareholder and partnership disputes, business torts, fraud, collections, corporate duty litigation, unfair competition, misappropriation of trade secrets, non-competition agreements, joint venture litigation, fraudulent transfers, negligence defense, injunctions, and receiverships. In the area of real estate, FORS focuses on litigation arising from failed real estate transactions, landlord-tenant disputes, specific performance, quiet title actions, judicial partition actions, foreclosure prosecution, and evictions. 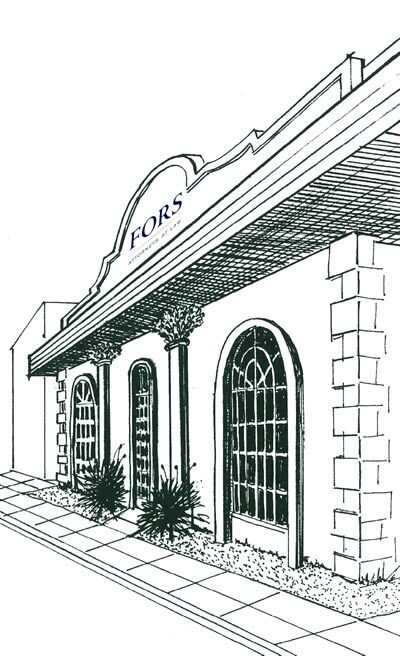 FORS also helps its clients with their business and corporate needs, providing services in connection with business entity formation and maintenance, lease agreements, shareholders’ agreements, limited liability operating agreements, distributorship agreements (domestic and international), and trademark protection. Ranging from simple to complex matters, FORS | ATTORNEYS AT LAW not only handles unavoidable litigation from beginning to end, but applies knowledge and experience to help clients plan for the future in today's economic environment.